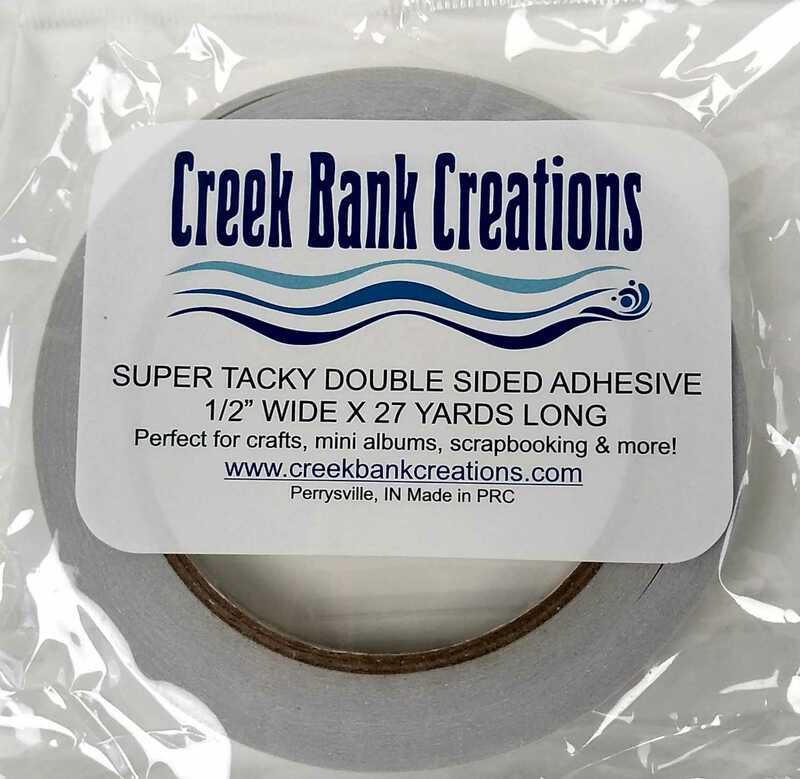 Creek Bank Creations .50" wide Super Tacky Tape. This spool has 27 yards of adhesive on it. Perfect for scrapbooking, mini albums and cards. This tape will hold glitter, mini beads and more!